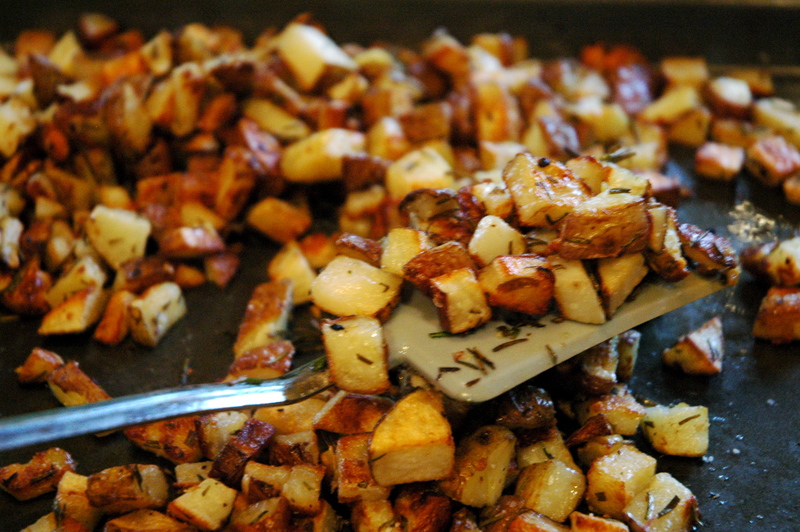 These potatoes are not just tasty; they’re frugal and easy too. I like to serve them with steak, and have the leftovers as hash browns the next morning. Microwave potatoes in a large bowl for 8-10 minutes, or until soft. Mix in rest of ingredients until potatoes are coated. Bake in a single layer at 450 for 30 minutes or until browned and slightly crispy.